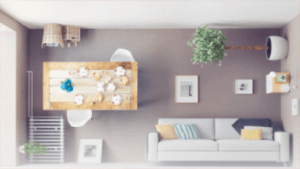 There is no escaping those innate and early-learned associations – for some, it means sleeping to gentle noises on planes, and for others, the act of rocking tilts us softly into a deep slumber. 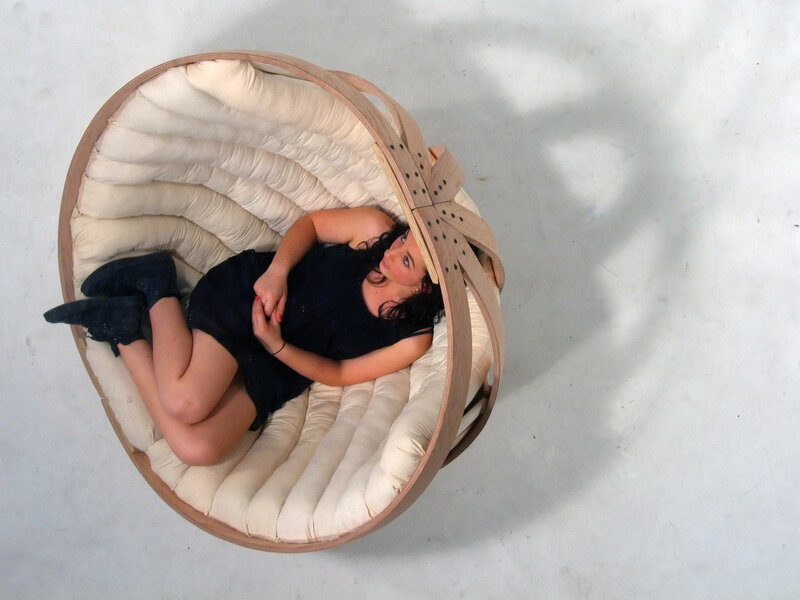 Richard Clarkson and company wanted to create a kind of low-tech, sensory-deprivation, sofa-style seat where one can curl up and forget the workaday worries of ordinary life … and perhaps even doze over before you notice you are slowly falling asleep. While there is art and craft in this object, there is science that went into its design as well. Specifically, research into autistic children and those who suffer from RMD (rhythmic moving disorder) played a crucial role in the shape and structure of the result. 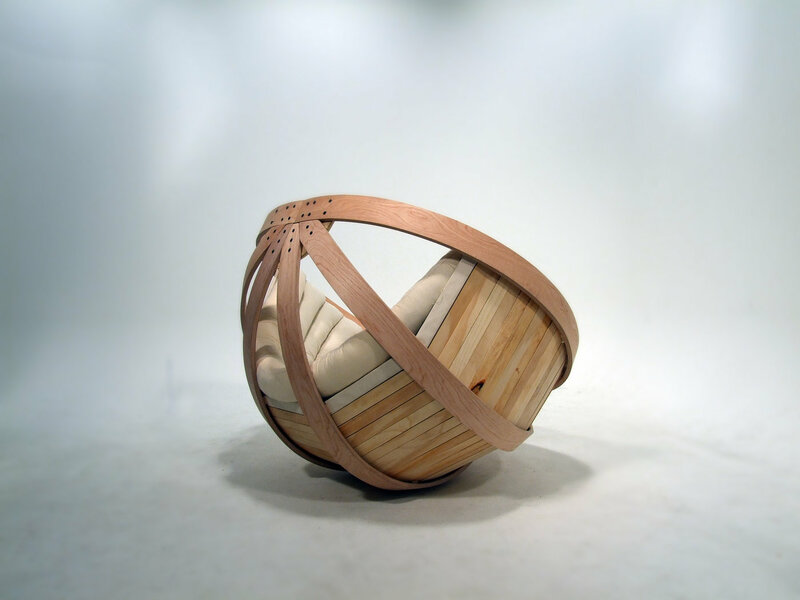 For all its theoretical complexity, the final form this papasan-style basket chair looks quite simple (and extremely comfortable). 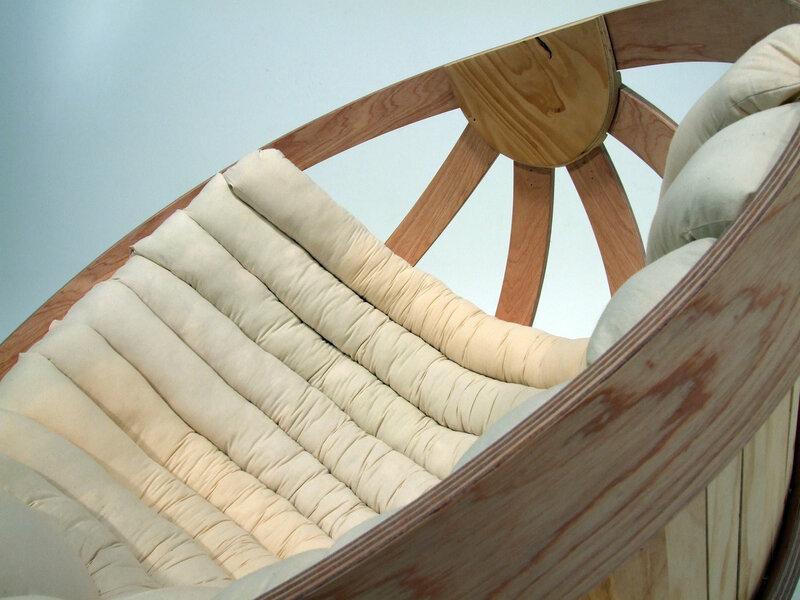 A bleached-and-bent-wood framework with unfinished wooden-slat infill is cushioned by a series of coverless pillow strips, making the assembly legible but not overpowering as part of the appearance. The entire piece rocks forward due to wood weight when unoccupied, then lounges back naturally when someone sits in it. 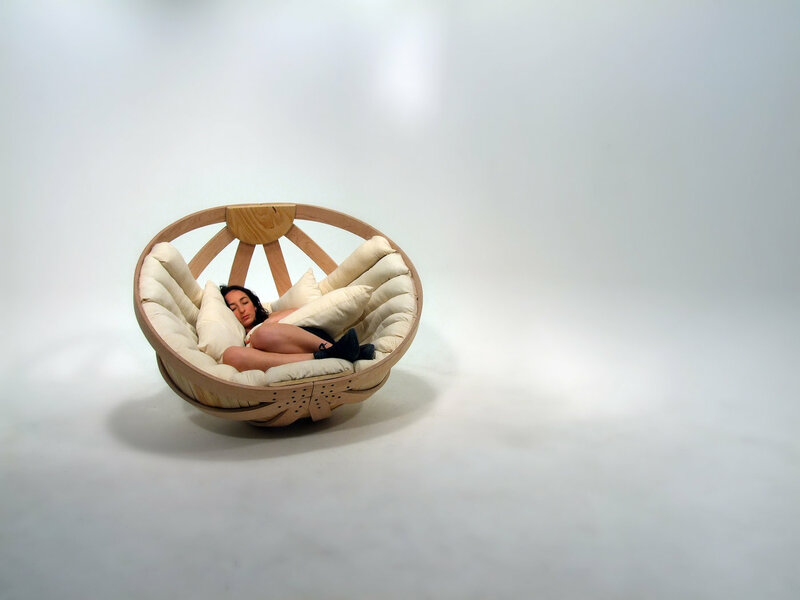 The Cradle Chair was briefly available for sale with a retail price of $8,400, but it looks like it’s all sold out. 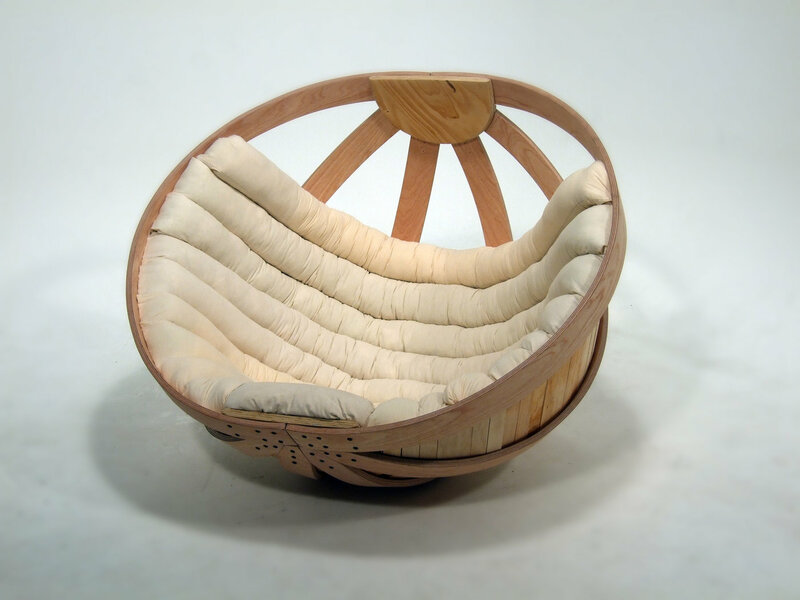 The designer says it’s made of non-toxic materials, including natural canvas, organic wax, natural glues and authentic New Zealand wool. Designer Richard Clarkson is also responsible for the beautiful Rain Lamp, which magnifies the movement of water droplets and uses light to project them onto nearby surfaces for a soothing experience.